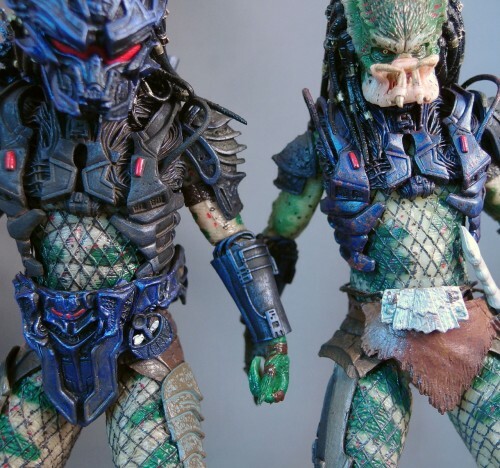 Update on my review of NECA’s Battle Armor Lost Predator: I was at my local Toys ‘R Us and found two Battle Armor Lost Predators. 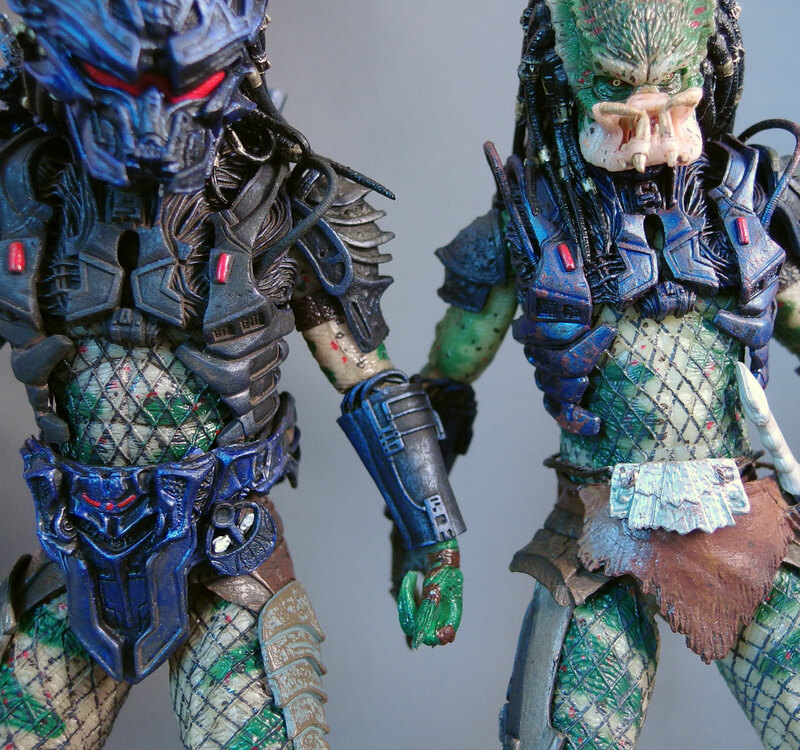 One looked more or less like mine, above – missing the blue paint on the torso armor – but the other one looked much better. Not as good as the earlier figure (above right), but much better than mine. So it does appear to be a quality control error. Just a question. Does the chest color look bad in person? I don't have this Pred yet. Based on the pictures that I've seen I don't mind the color change. Since this figure is not screen accurate it doesn't matter to me. I'd say in person it looks exactly like the picture Poe posted. You will definitely notice it if you look for it, but I wouldn't say it really stands out on the shelf. I've seen five or six in the store and have not seen one that had any more paint than the one in the picture.